The MotorsportReg product team has spent the last few months developing a new look and feel for MotorsportReg. This new design is the foundation for many exciting new improvements coming this winter. Check out the sneak peek below. We hope you’re as excited as we are! In addition to this all-new look to MotorsportReg, we’re releasing two new features that we think will have a major impact for parts of your organization. Event registrars have told us for years about this missing link between registration and timing & scoring. The driver walks up to check-in and has to make a change to their registration - class or number changes or worse - a new transponder number. That change ends up called out to a radio, written down on a piece of paper and sent via a runner, or even faxed to Timing & Scoring. Today we’re putting an end to the fax machine or paper changes. We’re releasing a special screen designed specifically for Timing & Scoring that will alert for changes that need to be updated in the timing and scoring software. Once the change is applied, the Timing operator can mark it as complete to keep track. As a registrar, all you have to do is make the update in MotorsportReg like you normally do. We live in a world where there are many systems that help you run your organization. We often hear from organizations that use products like MailChimp for email newsletters or Salesforce for keeping track of contacts. 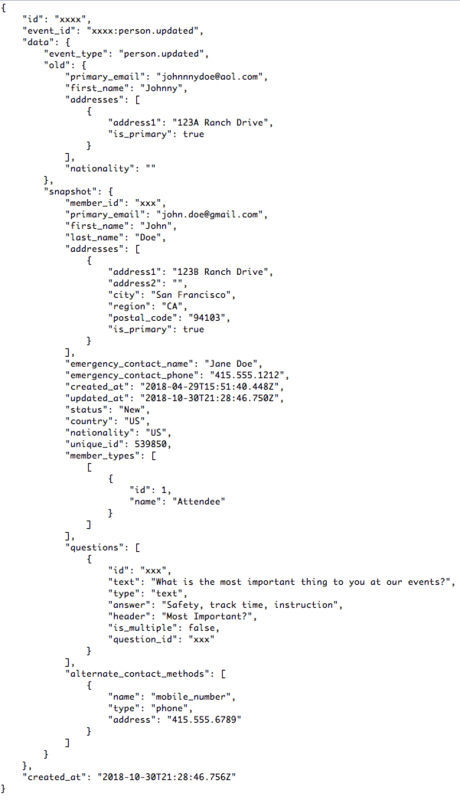 Our API has been a bedrock for helping organizers build integrations with other systems. We’re taking that one step further by introducing Webhooks which allows you to send notifications to your other systems about changes that occur within MotorsportReg. Let me walk you through an example. 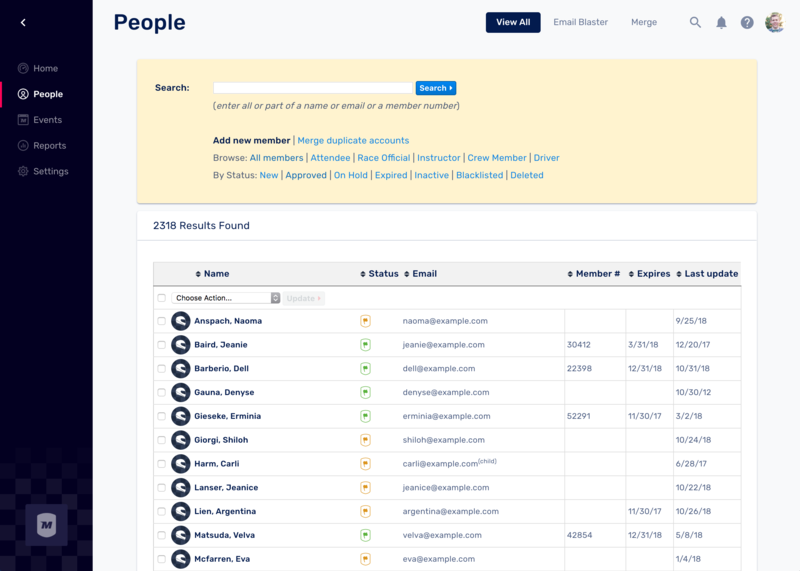 If your organization uses MailChimp to manage a newsletter mailing list, you can configure a Webhook to alert MailChimp anytime a new contact joins your organization in MotorsportReg. Or if a member updates their email address, that new email address automatically added to your MailChimp mailing list. While developers may be especially excited about webhooks, you do not need to be a programmer or technical user to start integrating! There are great tools like Zapier which offer a web-based integration builder to connect systems together using webhooks. If you are interested in early access to any of these features, please let us know at support@motorsportreg.com and we’ll be glad to get you setup.